Smile and Wave: Modern Patchwork Is Now Available! Modern Patchwork Is Now Available! 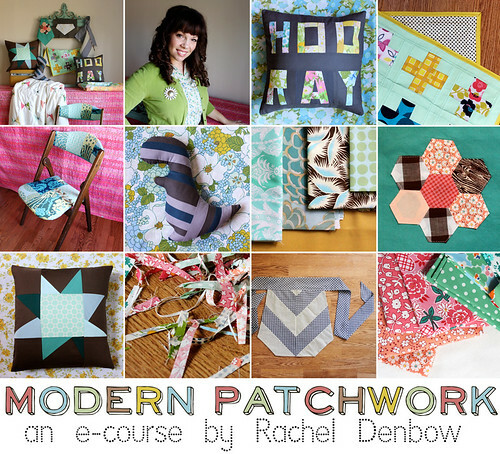 My first e-course, Modern Patchwork, is finally available! It's designed for fabric-loving crafters with a modern aesthetic who want to make uniquely personal pieces for their home but don't know where to start. 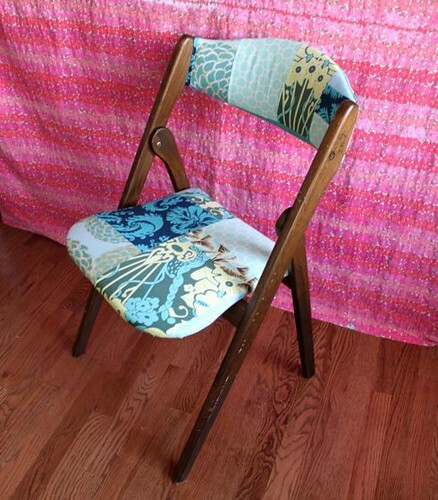 It includes nine patchwork projects with step-by-step tutorials that build on each other so that even beginning sewers can feel confident in their ability to stitch together a colorful lap quilt and then recover an ugly chair! My goal in writing this e-course was to create a place that brings many of the basic skills you'll need to become a more confident sewer, share a few ways you can pair traditional patterns with modern colors, and leave you with some tips and tricks for getting started on future projects! I cover all the tools you'll need, how to select and care for your fabrics, and a sweet story about my great-grandfather's star quilt in two videos, as well as my favorite binding technique and the simple steps involved in paper piecing. 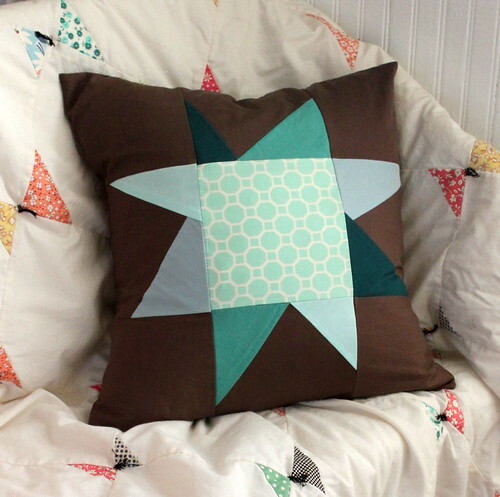 This course is designed for beginning sewers but even seasoned seamstresses will enjoy original templates for quilt blocks and one of my favorite projects, the Make A Statement Pillow. Projects Include: Striped Dino Plushie, Stars in Your Eyes Pillow, Chevron Half Apron, Cross Your Heart Doll Quilt, Patchwork Chair Makeover, Cutting Corners Lap Quilt, Make a Statement Pillow, Hexagon Flower Block, Original Diamonds Are Forever Block, Make Your Own Binding Tutorial, and an original bonus block! Modern Patchwork is an e-course, not a class, so all of the information is available to you once you receive your private log in information. No waiting on daily updates or worrying about missed chat times. There are no deadlines so you can work at your own pace! This E-Course is available exclusively through Red Velvet for the cost of $32.00. Your private blog information will be mailed to you immediately upon purchase! Thank you for all of the excitement shared in the announcement of my first e-course and a big thanks to Elsie, Emma, and Corey for their behind the scenes support! I've learned so much about this process and have already started another quilt top based on the hexagon tutorial in Project 8! 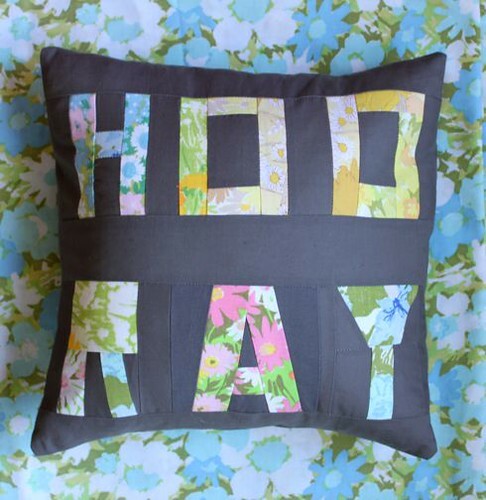 Who knew that paper piecing was the new granny square? just signed up! that's one of my 2011 goals - quilting! happy new year! xo. Yay! So glad to have you, Jari! This is so cool Rachel, congratulations on what looks like a gorgeous course! Rachel, is there a description somewhere about what projects are included on this? Thanks so much, looks very cool! Yes, just added the project list and a few up close photos. Thanks! All signed up:) I can't wait to start! how awesome:) i adore that chair! is this like a limited time offer? or will it be available for awhile? yay for you! this sounds so exciting! This looks wonderfully inspiring! Congrats and I wish you luck. We're sharing lots more sewing and quilting inspiration over at www.WeAllSew.com - so if you're searching for more project ideas or tutorials, stop by! Looks wonderful! So glad to see some "modern" quilting! Will definitely share on my blog and will probably sign up. Thanks! "is this like a limited time offer? or will it be available for awhile? " It'll be available in the e-courses section of RVA for awhile. oh thank goodness! i want to do it so badly but am sooo busy right now! i am looking forward to being able to try it a little later!! I just signed up!! I am so excited and a little nervous! I've had a sewing machine lying around for years and have been dying to use it. I just haven't known where to start. Plus, I am pregnant with baby 4...my first girl! So, I am feeling the urge to make pretty things! Weee just signed up too! Can't wait to start quilting! So cool! I want to do this! But, it would have to wait till after the move. I'll check back! Yippee! I would LOVE to win this! It would be oh so perfect right now in the dreary dead of winter! Fingers crossed! fun! had a grandmother and dear friend who have made treasures and would love to learn to do the same. hope i am one of your winners! thanks for sharing your talents.